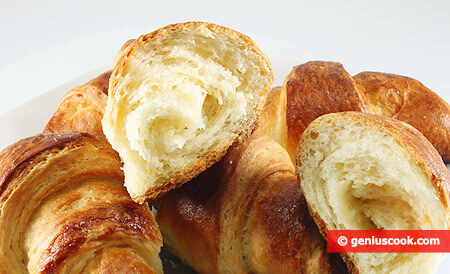 Soft and flavorful croissants can be found on the breakfast table in every French house. 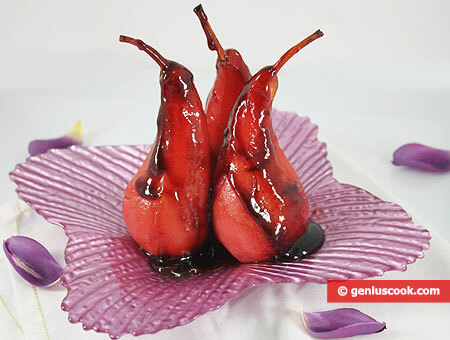 They are a traditional and symbolic part of French cuisine. They are made from puff yeast paste which takes time. 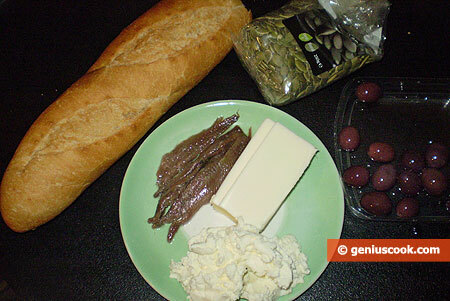 Don’t think of using margarine, take only natural butter, because you will be making them for yourself. 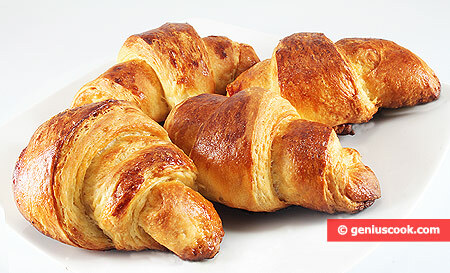 At factories, croissants are made not with butter but with margarine that is cheaper and more harmful. We give ingredients for 2 layers of puff paste, so you can put one into the freezer and use it later. 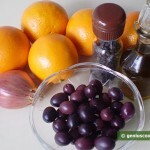 Dissolve yeast in 5 tablespoons of warm water, add sugar and flour. 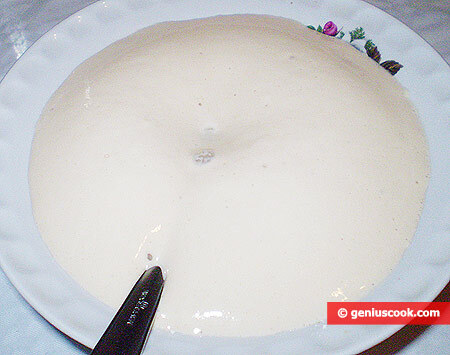 Never add salt to the yeast, it will diminish its dough-raising quality. In 10 minutes yeast will puff up into exuberant foam. 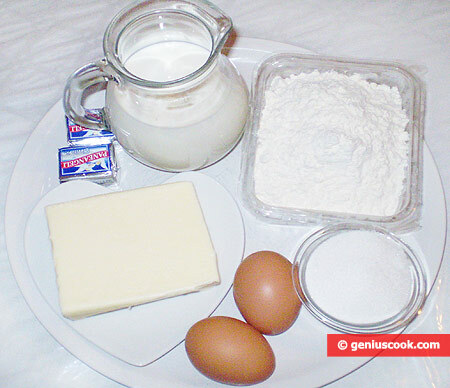 Sift flour, mix in sugar and salt, add water, milk, eggs, give it a good stir-up and mix up with the prepared yeast. 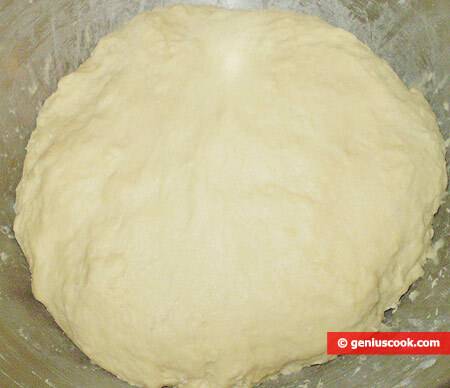 Mix up the dough for about 15 minutes until it is smooth. 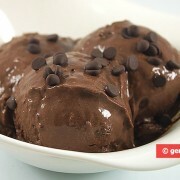 Make a ball, put it in a deep bowl, cover with a film and leave to stand at room temperature for 1 hour. After that knead the dough and put it away into the fridge. When it will fill the bowl again you can begin working with it. 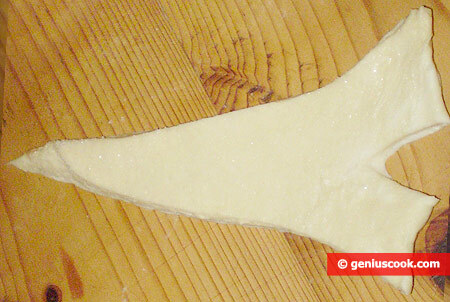 Sprinkle some flour on the working table; break the dough into 2 parts. 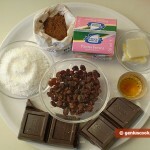 Roll out one piece, if it sticks, sprinkle it with flour. Smear over with soft butter. 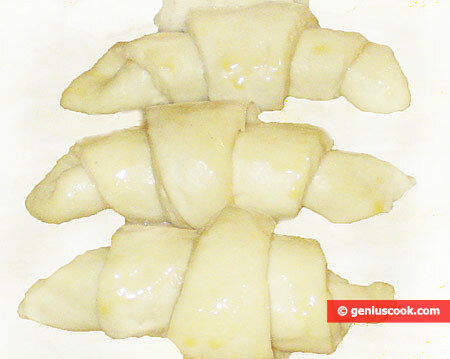 Fold it into three layers, then roll it out again and smear with butter again. Fold in three again. Do it over and over until the butter runs out. Do likewise with the other piece. 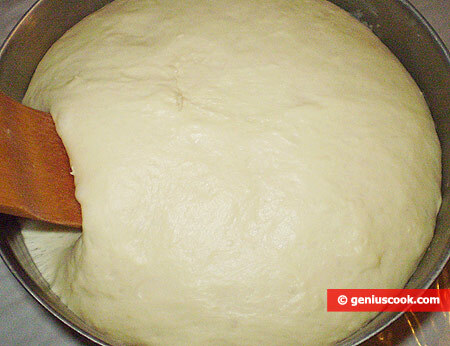 Wrap the dough into a film and put into the fridge for 2 hours. 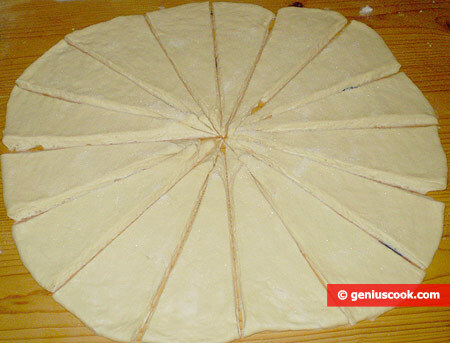 Then roll it out into a circle, divide it into 16 triangles, make small cuts in each at the base and roll up. Set the rolls on a baking tray and leave them to come to for about 40 minutes. Pre-heat the oven to 356 degrees. 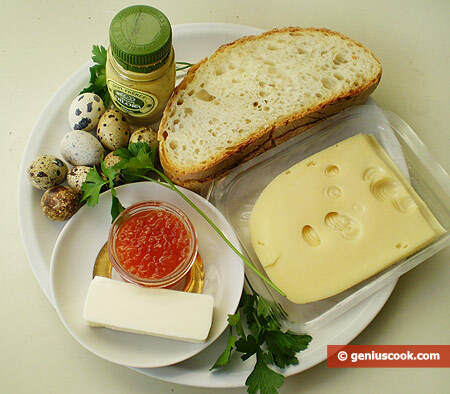 Before you begin baking smear the rolls with egg mixed with a spoonful of sugar. Bake for about 20 minutes until they acquire a beautiful golden color.